LOS ANGELES, Feb. 28, 2011 -- Northrop Grumman Corporation (NYSE:NOC) employees and project teams were recognized for their outstanding technical contributions in 2010 by the San Fernando Valley, Calif.-based Engineers' Council during the organization's 56 th annual honors and awards banquet held Feb. 26. "These innovative employees have put forth the effort and creativity to drive our corporation and ultimately our country toward a future of uniquely capable and diverse aerospace systems. These engineers' achievements highlight our focus on technical quality, cost competitiveness and technology breadth," said Gene Fraser, vice president of aerospace engineering for Northrop Grumman Aerospace Systems. "It is an honor for our engineers to be recognized by this council and it brings a powerful close to National Engineers Week." "These exceptional engineers are a source of pride for our company," said Liz Iversen, vice president and general manager, Navigation Systems Division, Northrop Grumman Electronic Systems. "These talented professionals combine technical excellence with Northrop Grumman's core values of quality and customer satisfaction." Clayton Kau, former vice president Space and Defense Products for Northrop Grumman's Aerospace Systems received the council's Jack Northrop Spirit of Innovation award. This award commemorates the vision, perseverance and engineering prowess reminiscent of Jack Northrop, whose achievements and techniques broke the barriers of traditional aircraft design. 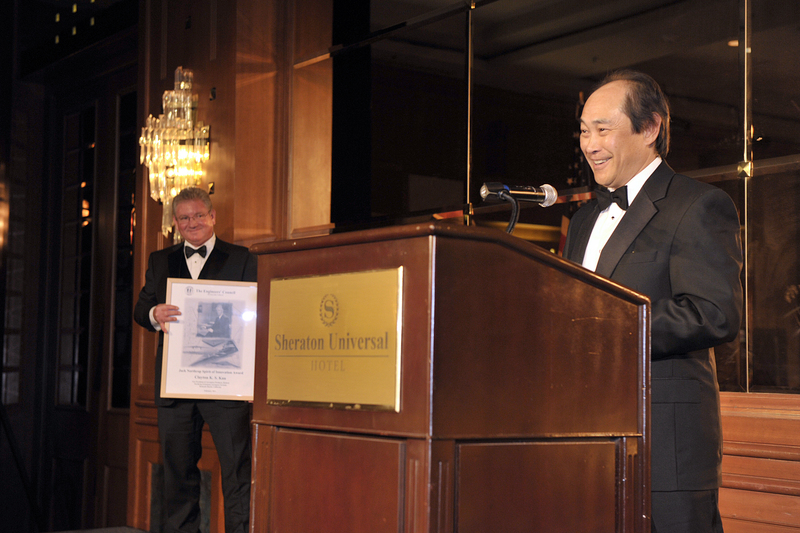 The council presented the Jack Northrop Award to Kau for his lifetime role as a leading defense industry engineer. Randall Curey, a systems engineer at the Navigation Systems Division, received a Distinguished Engineering Achievement Award for "contributions to the development, design, integration and test of multi-function inertial and global positioning system (GPS) navigation systems, and for the commitment to standards development benefitting the engineering community." Kevin Picklesimer, also a systems engineer at Navigation Systems Division, received a Distinguished Engineering Achievement Award for "contributions to the development, design, analysis and implementation of inertial and GPS navigation systems as well as integrated avionics systems." Jonathon Almond, a lead engineer for the Aerospace Systems sector, received an Engineering Merit Award for "meeting the challenges of the highly technical and complicated Guidance, Navigation and Control concepts of unmanned rotor aircraft systems. He is receiving this award, in recognition for "outstanding contribution in the area of Guidance, Navigation and Control to the Fire Scout system." Wayne Bender, a senior member of the technical staff at the Navigation Systems Division, received an Engineering Merit Award for "outstanding contributions to the design, integration, test and manufacturing support of accelerometers used in tactical and navigation accuracy inertial systems." Sam Dimashkie, an optical engineer at the Navigation Systems Division, received an Engineering Merit Award for "outstanding contributions in the characterization and understanding of fiber-optic gyroscopes utilized for inertial navigation." 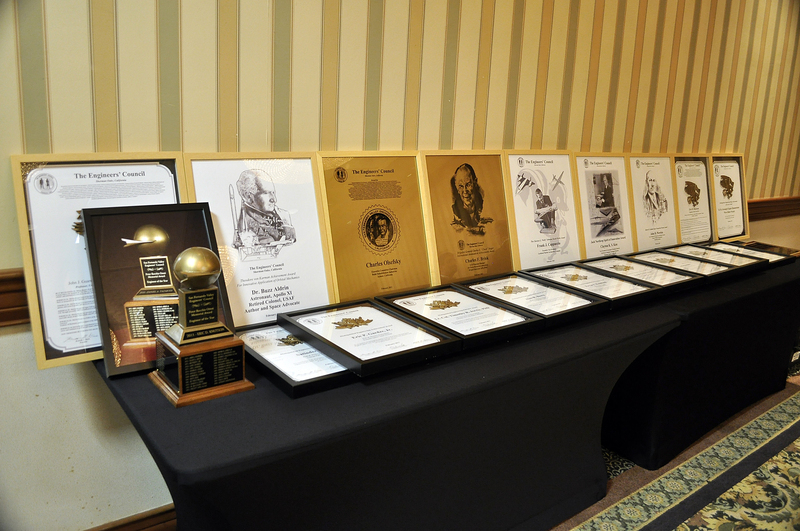 The Engineers' Council honors and awards banquet is one of the largest celebrations of National Engineers Week in the nation. National Engineers Week was established in 1951 by the National Society of Professional Engineers to help ensure a diverse, well-educated engineering workforce by increasing the understanding of, and interest in, engineering and technology careers among young students. It also raises public understanding and appreciation of engineers' contributions to society.